I was really excited when O’BON contacted me about doing a product review about their eco-friendly notebooks, binders and pencils. I’d only just found out about the company, and really wanted to see if their products lived up to the hype I’d read about online. And the best news? They’re offering readers of The Greenest Dollar a coupon, so stay tuned for that! Well, I loved their products for several reasons. The first is that they’re incredibly eco-friendly. All their notebooks and binders are made from sugar cane paper and recycled cardboard. Their pencils are made from recycled newspaper. All ink is vegetable-based. Wa-hoo! The second reason I loved the O’BON products is because they’re just beautiful. 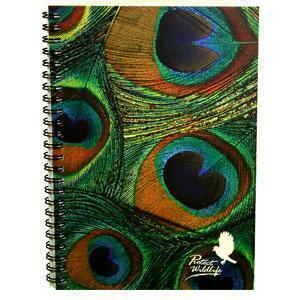 Many of their binders and notebooks have luscious, up-close pictures of bird feathers. They look just as stunning in person as they do online, and thanks to these beautiful images they’re just a pleasure to look at and have out on your desk. The third reason why I loved O’BON so much is because they’re committed to contributing to worthwhile causes. They work with the Arbor Day Foundation and plant a tree for every purchase made on their site. They’re also actively trying to fight deforestation, and right now they’re selling a wonderful Earth Day bundle of products for only $9.99 (valued at $19). The bundle includes two notebooks and a pack of pencils. I got the chance to try out their notebooks and colored pencils. And you know what? I loved them. The pencils colored great, and I’ve started taking the notebook with me everywhere because it’s so pretty. I’m going to have to buy some more of their bird line, because they’re not only affordable but they’re also too beautiful not to have. Another cool thing about O’BON is that if your school needs some fundraising ideas, then you can sell O’BON products instead of cookies or wrapping paper. This is a great way not only teach kids about deforestation and the importance of recycling, but also spread this little company’s great products in your area. You can find out more about O’BON’s fundraising program here. In celebration of Earth Day, O’BON is giving all readers of The Greenest Dollar 20% off every order of $20 or more. All you have to do is put in the coupon code “GreenestDollar” when you check out. Am I going to order more? You bet I am. 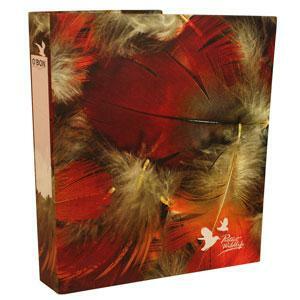 I’m so in love with their bird binders and notebooks, and I love that they’re made from sugar cane pulp and recycled cardboard. Those look great, and thanks for the coupon code!